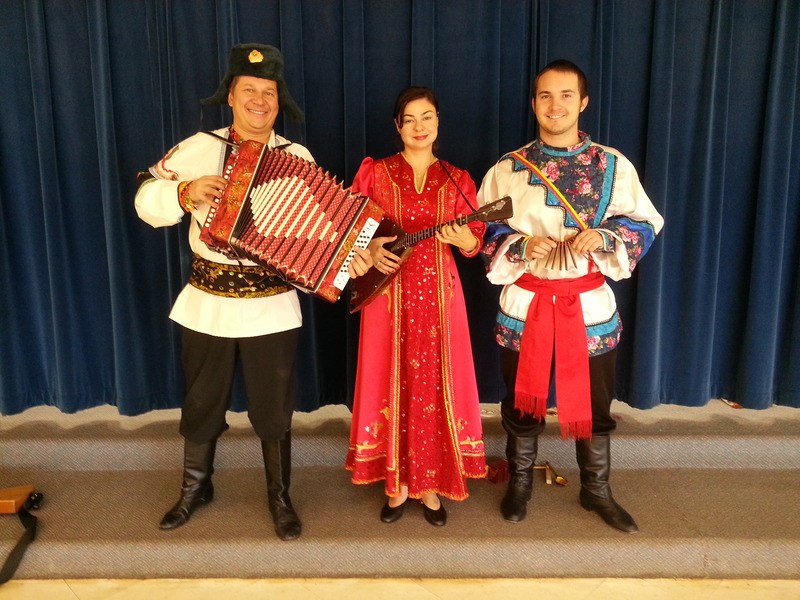 Russian song, dance and music trio performed in Sun Valley, California on November 21st, 2013 at 9:30am and 10:30am. Two back-to-back multicultural school assembly programs took place at the Byrd Middle School, 8501 Arleta Ave, Sun Valley, CA 91352. Students and teachers spent 45 minutes of their Monday afternoon learning about Russian culture through songs, music, dance and language. 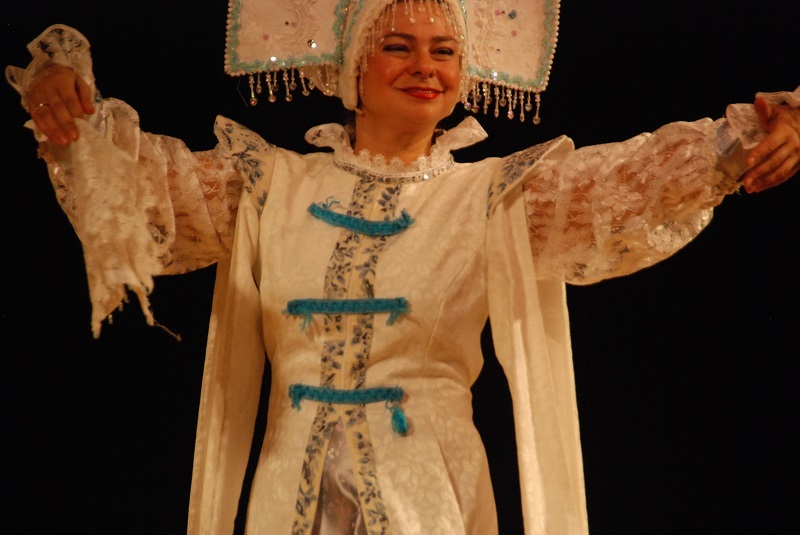 Musical director of the group Elina Karokhina played the balalaika, a three-stringed, triangular instrument, performed Russian folk dance "Metelitsa" (The Snowstorm, Russian: Метелица), Russian Gypsy Roma dance Ochee Chyornye ("Dark Eyes" Russian: Очи Черные), and Ukrainian traditional song "Pidmanula" ("You Tricked Me"). 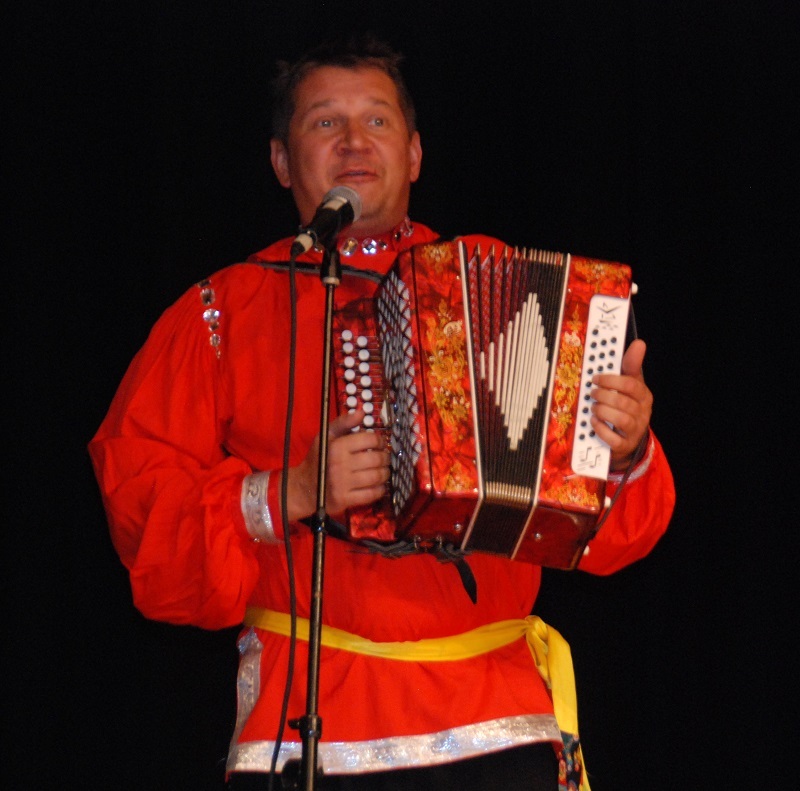 Artistic director/founder Mikhail Smirnov played the garmoshka, a Russian-style diatonic button accordion and guitar. 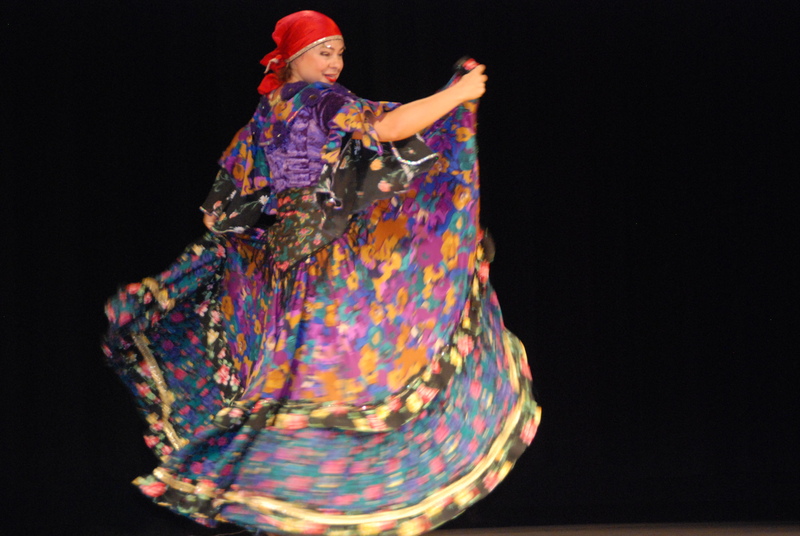 Dancer Gosha presented Russian, Ukrainian, Siberian, and Gypsy dances including "Siberian Nanai Wrestling dance", "Chicken Dance", and the dance of "Russian Bear". 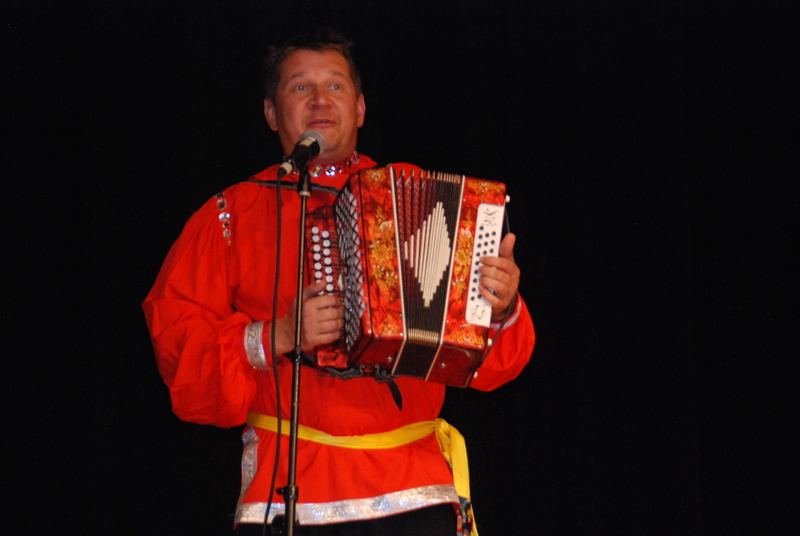 In between playing songs on their instruments, singing songs, and dancing traditional numbers to the music, Mikhail Smirnov shared a little bit of the Russian language with the students. 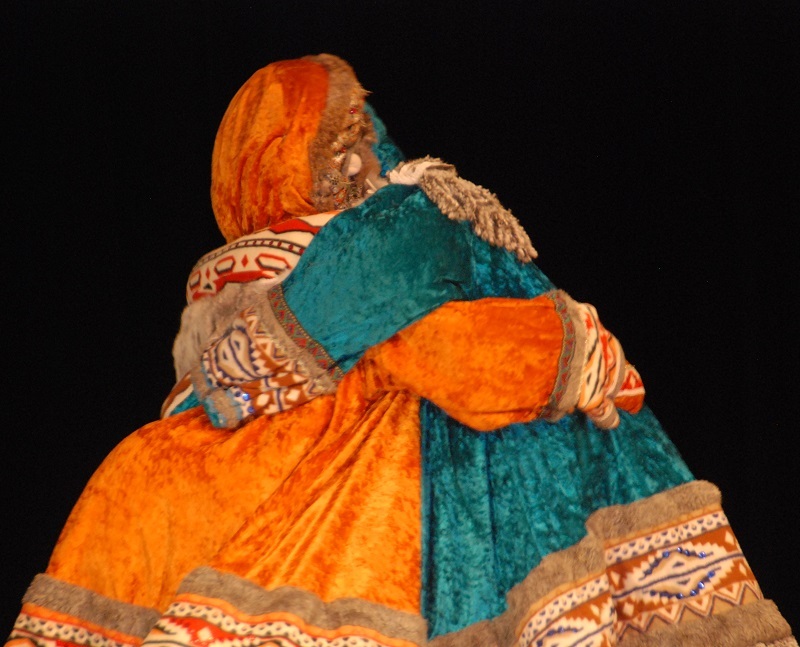 He taught them phrases such as "Thank You" (SPASIBO), "Hello" (ZDRAVSTVUITE), "You're Welcome" (PAZHALUYSTA) and "Bye" (PAKA) as well as the alphabet and counting. He said each word in English and then slowly in Russian, allowing the children a moment to try the words themselves after each one. After the segment on words, the students attempted to chatter in Russian for a couple minutes, smiling and laughing about how they sounded. Almost in the end of the performance, Mikhail paused to share a couple of Russian tongue twisters, explaining each one in English first, and then saying them in Russian at top speed. With each one, the twisters got more complicated and lengthy. There was even a chance for a handful of students to get up on stage and try out a couple of Russian percussion instruments. 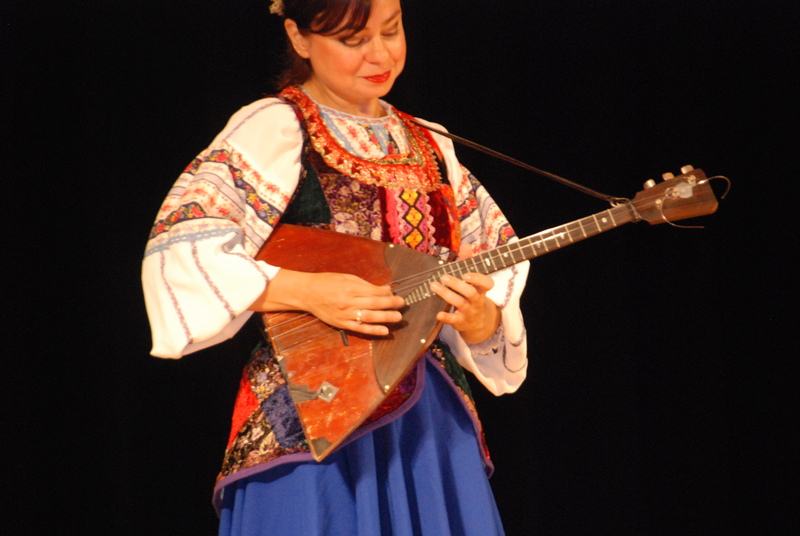 The program of Multicultural School Assembly performance included "Subbotyea" (Saturday Affair), Russian traditional table song «Субботея» with accompaniment of garmoshka, "Kamarinskaya", Instrumental solo Russian dance «Камаринская» performed on guitar and balalaika, "Siberian Nania Wrestling" dance «Борьба нанайских мальчиков», "The Snowstorm" Khorovod song and dance «Метелица», "The Peddlers" Russian folk song «Коробейники», "Kalinka" Russian folk dance «Калинка», "Amazing Balalaika" Medley «Волшебная балалайка», "Russian Chicken" dance «Танец маленьких утят», "Russian dance Workshop" interactive lesson «Урок Русского танца», "Russian Alphabet" interactive lesson «Урок Русского языка», "Where Are They?" 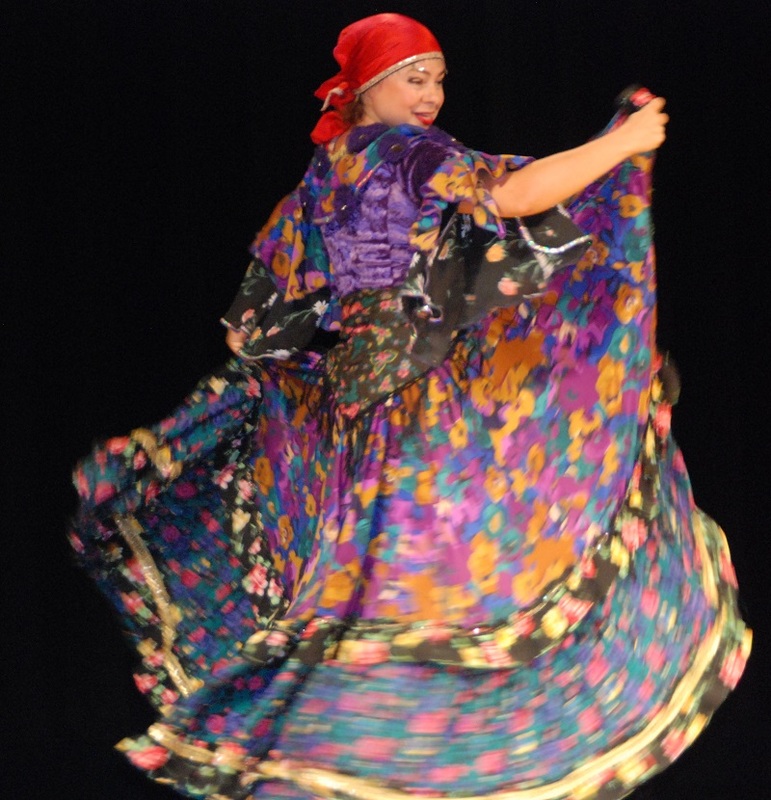 Gypsy Roma song and dance «Кай-Йёне», "Chardash" balalaika instrumental solo «Чардаш», "Russian Bear" dance «Танец Медведя», "Russian Percussian Orchestra" interactive game «Оркестр Русских ударных инструментов», "Pidmanula" Ukrainian traditional song and dance «Ти ж мене підманула». 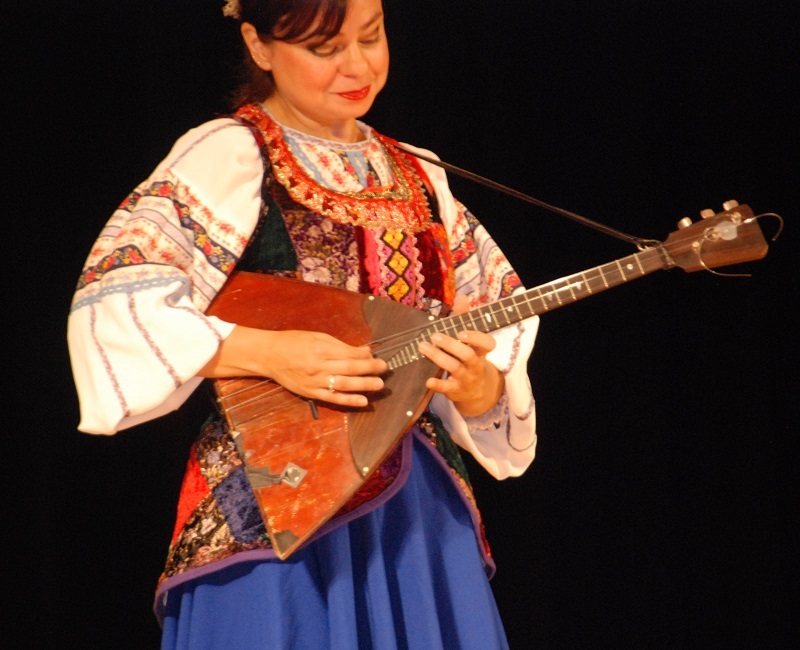 Established in 1991, ensemble Barynya presents Russian, Cossack and Jewish traditional dancing and music on instruments including the balalaika, balalaika contrabass, guitar and garmoshka. Barynya has been invited to perform at some of the most prestigious cultural venues in the U.S., including Carnegie Hall, the Smithsonian, the United Nations and the Russian Embassy in Washington, D.C. Ensemble Barynya is available for hire for performing art centers, school assemblies, festivals, colleges, libraries, concert halls, restaurants, private and corporate events as one powerful ensemble or in smaller groups. 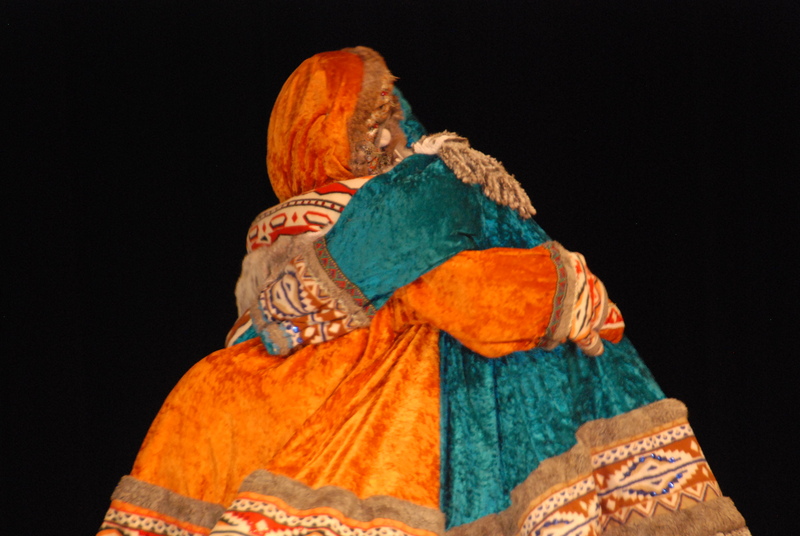 Mikhail Smirnov plays his garmoshka and sings Russian folk song "Moroz-Moros"
Russian musicians and dancers in Chino Valley, Arizona, Dateland, AZ, Oracle, AZ, Phoenix, AZ, Alameda, CA, Coalinga, CA, Corcoran, CA, Crescent City, CA, Farmersville, CA, Georgetown, CA, Happy Camp, CA, Lincoln, CA, Los Gatos-2019, Mendota, CA, Oxnard, CA, Pasadena, CA, Roseville, CA, Sacramento, CA, Santa Ana, CA, Sun Valley, CA, Sunnyvale, CA, Tracy, CA, Walnut Creek, CA, Yuba City, CA, Brighton, CO, Denver, CO, Colchester, CT, Enfield, CT, Greenwich, CT, Taftville, CT, Plantation, FL, Sarasota, FL, Lahaina, HI, Lamoni, IA, Elk City, ID, Evansville, IN, Shelburn, IN, Shelbyville, IN, Colony, KS, Eureka, KS, Gardner, KS, Jackson, KY, Lexington, KY, Morehead, KY, Pikeville, KY, Stanton, KY, Bastrop, LA, Tallulah, LA, Gardner, MA, Townsend, MA, Bel Air, MD, Finksburg, MD, Laurel, MD, Ridge, MD, Canton, MS, Union, MS, Center Sandwich, NH, Monroe, NJ, Toms River, NJ, Farmington, NM, Fruitland, NM, Milan, NM, Las Vegas, NV, Amitvylle, NY, Avon, NY, Buffalo, NY, Geneseo, NY, Holbrook, NY, Plattsburg, NY, Riverhead, NY, Staten Island, NY, Watertown, NY, Cincinnati, OH, Aston, PA, Doylestown, PA, Du Bois, PA, Dunmore, PA, Erie, PA, Gettysburg, PA, Houtzdale, PA, Lake Como, PA, Millerstown, PA, St. Marys, PA, Memphis, TN, Amarillo, TX, Dallas, TX, Fort Worth, TX, Ira, TX, San Antonio, TX, Waco, TX, Big Island, VA, Earlysville, VA, Harrisonburg, VA, Lynchburg, VA, Radford, VA, Everett, WA, Olympia, WA, Morgantown, WV.